Boho elegance at it’s best! 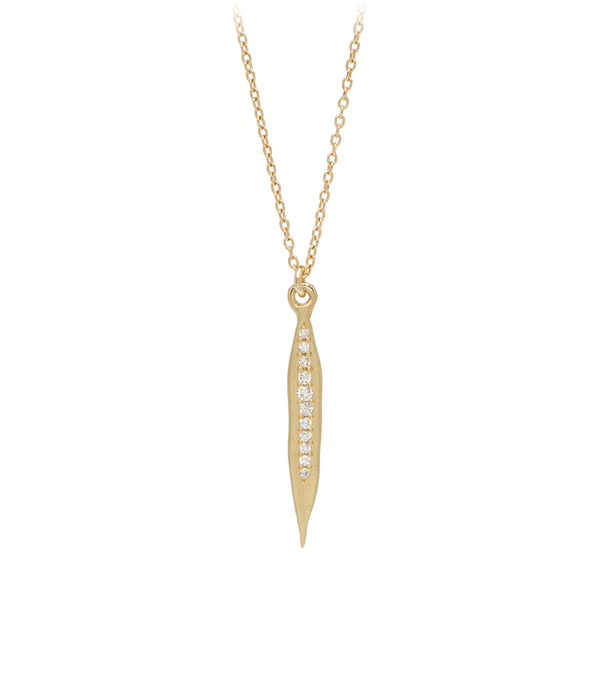 This 14K matte gold long spear shaped pendant features an irregular edge with a row of graduated pave diamonds (0.11ctw), hanging from tiny cable chain necklace. This organic textured necklace makes the perfect gift for any woman with a modern bohemian style.